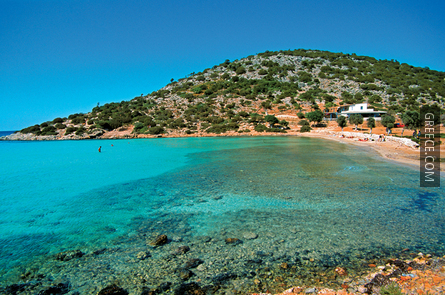 Leipsoi is a cluster of islands in the Eastern Aegean, with 698 inhabitants. 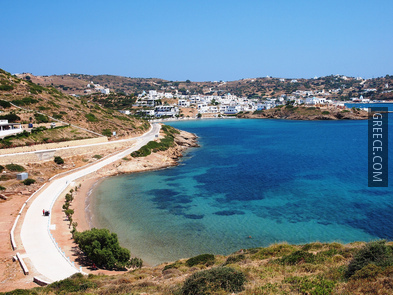 Lipsos, the main island after which the cluster was named, lies between Patmos and Leros. 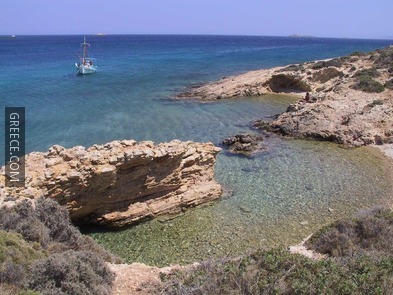 The cluster includes small islands, such as Aspronisia, Kalapodia, Fraggo, Plavi etc. 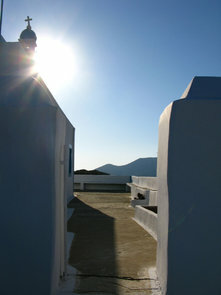 The history of the cluster is intertwined with that of nearby islands, mainly Patmos. 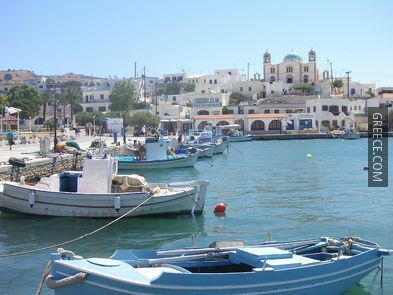 Just like the rest of the Dodecanese, Leipsoi have probably been settled since the prehistorical era. In various spots on the main island, vases and jars dating to the Classical period have been excavated. The proximity of Leipsoi to Patmos lets us believe that Christianity has been spread on the islands since the 1st centrury AD. There are many monuments from the early Christian era, such as a three-aisle basilica. On the main island of Lipsos, the picturesque capital of Leipsoi consists of white washed houses with blue doors and shutters, retaining a traditional island feel. 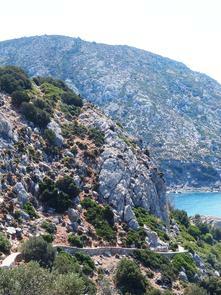 Other smaller settlements include Kouselio, Katsadia and Panagia tou Harou. There is a safe bay, where many private ships dock during summer. Lipsos has many beautiful beaches. Lientou has easy access from the capital and is therefore preferred by most people; Platys Yalos is a beatiful sandy beach, while Papandria offers a majestic view. Hohlakoura is pebbly, and has many wonderful caves, while other noteworthy beaches include Tourkomnima, Xerokampos, Monodendri and Kamares. The most important festivity on the main island is the Wine Festival in August, which is well advertised, as the island has a long wine-making tradition, just like Santorini and Samos. Another important festivity is "Klidonas", in honour of John the Stoker, during which large pyres are lit on the island, women bring the so-called silent water to village square, and people sing and dance all day long. There are many churches and chapels scattered on the island; in fact, it is said that there is one chapel for every family living here. 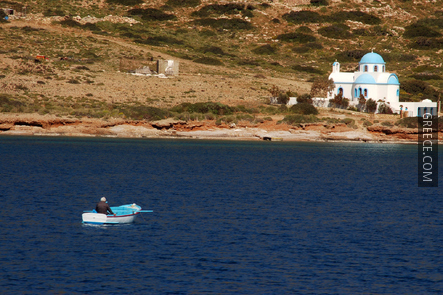 One of the well known churches is that of "Panagia tou Harou" (Virgin Mary of Death) for two reasons: its unique architectural style (island-byzantine), and the icon of Virgin Mary holding crucified Jesus in her arms, a moment that is rarely depicted in icons. The church of Agios Ioannis Theologos is another interesting church, constructed with carved stones. Finally, the church of "Koimisi Theotokou" (Assumption of Mary) is located among trees and nature, with a nearby spring of cool water. You may also visit the Ecclesiastical and Folk museum at the centre of Leipsoi city. It exhibits icons dating to the 16th and 17th century, crosses and gold-woven vestments, local costumes, coins etc. There is also a small archaeological collection, containing part of a marble ionic pillar head (4th century BC) and lamps (3rd century BC). 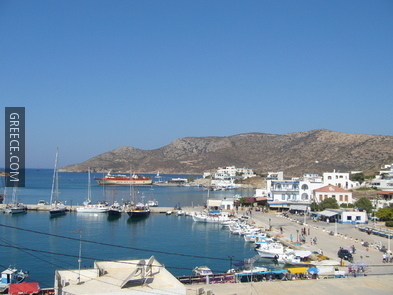 There are a few ferry services connecting Leipsoi to the nearby islands of Patmos and Leros, as well as Rhodes and Piraeus.